Summertown Interiors in conjunction with Dubai Blood Donation Centre recently organised a blood donation drive in the Jebel Ali Free Zone for volunteers from Summertown Interiors, and neighbouring firms Saitech, Dillinger and Momin Oil. Al Wasl hospital is the central blood bank of the Dubai Health Authority, and provides blood to all DHA hospitals, Thalassemia Centre, Trauma Centre and several private hospitals in the local area. 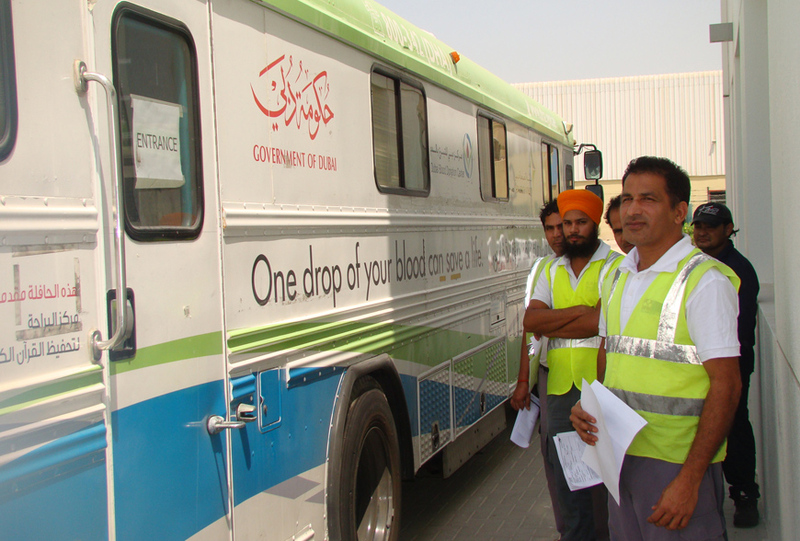 With the blood centre relying on approx.. 150-200 people to donate blood every day, hospitals in Dubai are often faced with shortages. A total of 59 people were able to successfully donate from the pool of volunteers. Esra Kayhan, Summertown’s HR Manager was very pleased with the drive. “It’s fantastic that 41 people from Summertown were successfully able to take part and am very proud that so many of our employees stepped forward to donate. It was great to team up with the neighbouring firms too – with a little organization together, we were able to make a difference and hopefully able to contribute to saving the lives of people here in the UAE”. To organise your own donation drive, contact 04 219 3221 or visit www.dha.gov.ae.